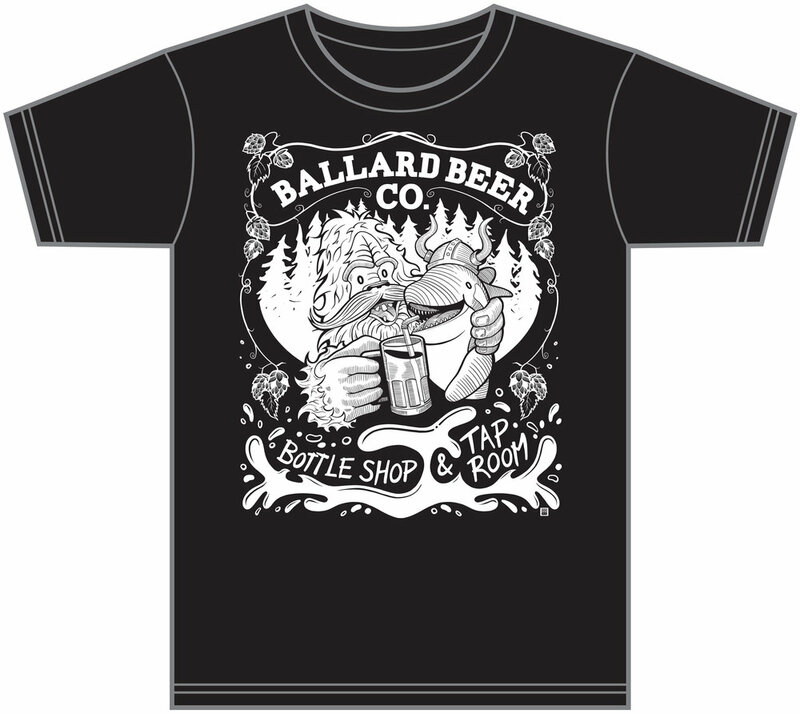 Newly finished tee shirt design for the Ballard Beer Company. The shirt will feature a reversed version of this illustration. As with most of my work, I sketched out the primary art by hand then scanned the image. The final line work was done on an iPad Pro with the Apple Pencil. I wound up exporting multiple PSDs for various elements of the final illustration and compositing those elements in Photoshop. Final tweaks, including additional line work, were completed using a Wacom tablet in Photoshop.